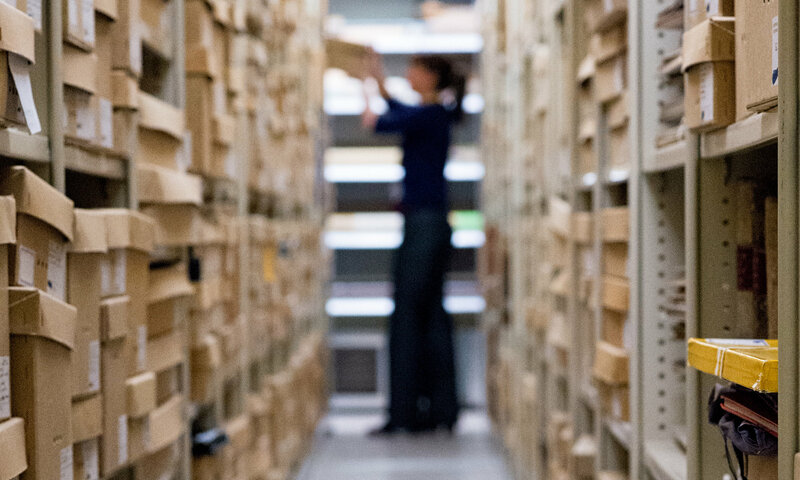 The Suffolk Archives Foundation exists to support the Suffolk Record Office in its work to protect, preserve and promote 900 years of unique historical collections. Right now, we are excited to be helping deliver the vision for a new heritage centre for Suffolk, being developed in partnership by Suffolk County Council and the University of Suffolk. Called ‘The Hold’, the centre will be purpose-built to store, display and interpret the county’s treasured archives and make them accessible to all. Situated on Ipswich’s unique and regenerating Waterfront, it will have a major impact in the transformation of the county town of Suffolk. But the project is about much, much more than just a building – it will be the engine for a countywide programme of learning, events, and activities that will engage more people with Suffolk’s archival collections. Supported by volunteers, we undertake a wide range of activities to assure the preservation, accessibility and recovery of Suffolk’s nationally and internationally significant archives for everyone. As mentioned above, Suffolk Record Office has an ambitious project to develop a new heritage centre, in partnership with the University of Suffolk, called ‘The Hold’. The project is supported by heritage organisations across Suffolk and in April 2018, received funding support (see news item) from the Heritage Lottery Fund. 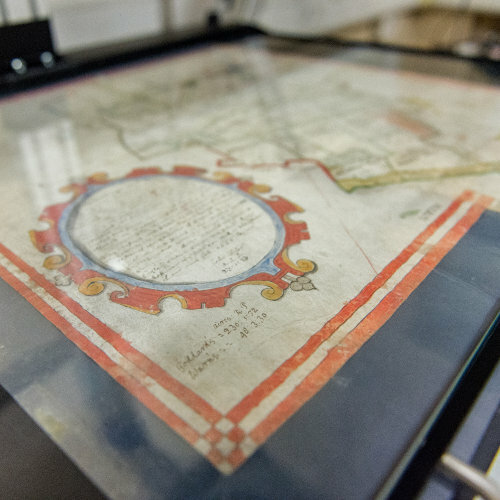 The success of the project relies on additional fundraising from a range of sources and the Suffolk Archives Foundation is proud to be helping with these efforts, as our first major project. The Hold received planning permission in January 2018 and building work commenced in the Summer of 2018. The building should formally open in the Spring of 2020. More information about The Hold, including the project’s background, can be found on the Suffolk Record Office website here. The Hold has been supported by a grant from the Heritage Lottery Fund. Suffolk’s marvellous archive treasures are in desperate need of a new home. So, underpinned by £11m of Heritage Lottery Fund Suffolk County Council and University of Suffolk have partnered to create a new building near Ipswich’s Waterfront – the ‘Hold’ – opening in 2020. The Hold will create a fabulous memory box with state of art storage for future generations in addition to a 200-seat lecture theatre, exhibition spaces, study area and a coffee shop. SAF believe that this building should become an educational and cultural epicentre of excellence providing a platform for telling the stories of Suffolk, helping to make Ipswich a national destination and to put Suffolk people back in touch with their history and heritage. Develop wider ownership from Suffolk’s people whilst helping to fashion an interior that inspires, impresses and engages visitors and exhibitors. Build interest and passion amongst a new and younger audience and support the delivery of stories through video and social network platforms. Harness the creative energy of Suffolk people to generate excitement, inspire and tell new stories both in the Hold and throughout Suffolk. Link exhibitions and storytelling with other Ipswich cultural, historical and educational endeavours. Engaging Suffolk people in the building of the Hold to widen ownership and stretch the budget. Building partnerships with Ipswich’s existing networks, cultural, historical, heritage and education organisations. Developing an active network of friends and volunteers.